Email marketing is an effective tool for reaching your prospects and cultivating relationships with existing customers. With VMware email campaigns you can nurture leads, send your prospects the latest offers and industry information, and help upsell your existing customers in a few simple steps. 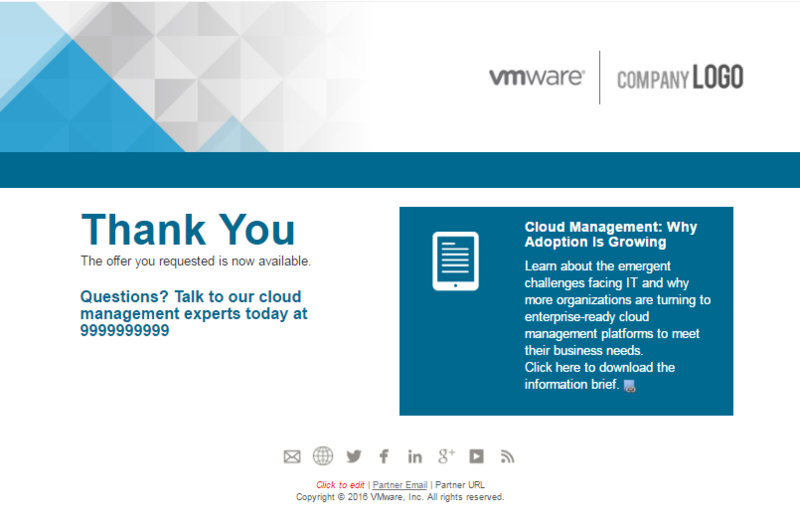 The VMware Partner Demand Center has alleviated the hassles and uncertainty of administrating your own email marketing campaign. 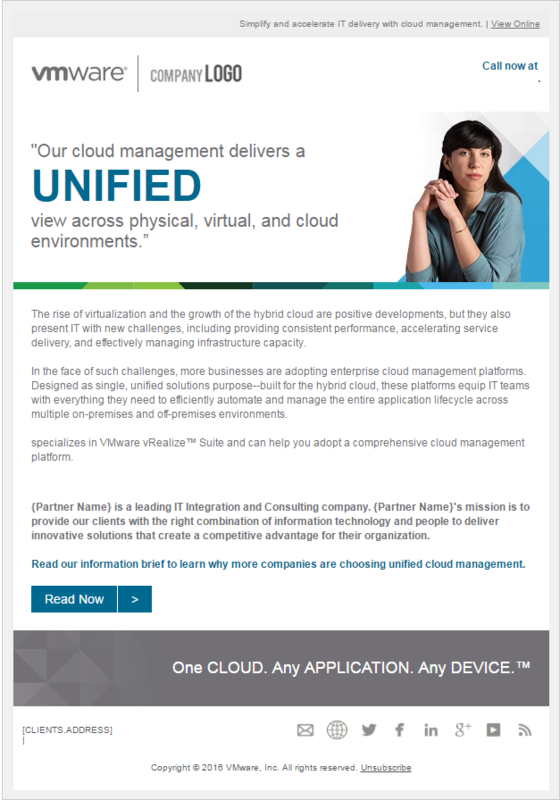 With syndicated emails, all of the content is provided to you by VMware. You don't have to worry about setting up registration forms to capture information, because the email landing page and the registration form are automatically integrated into the campaign. 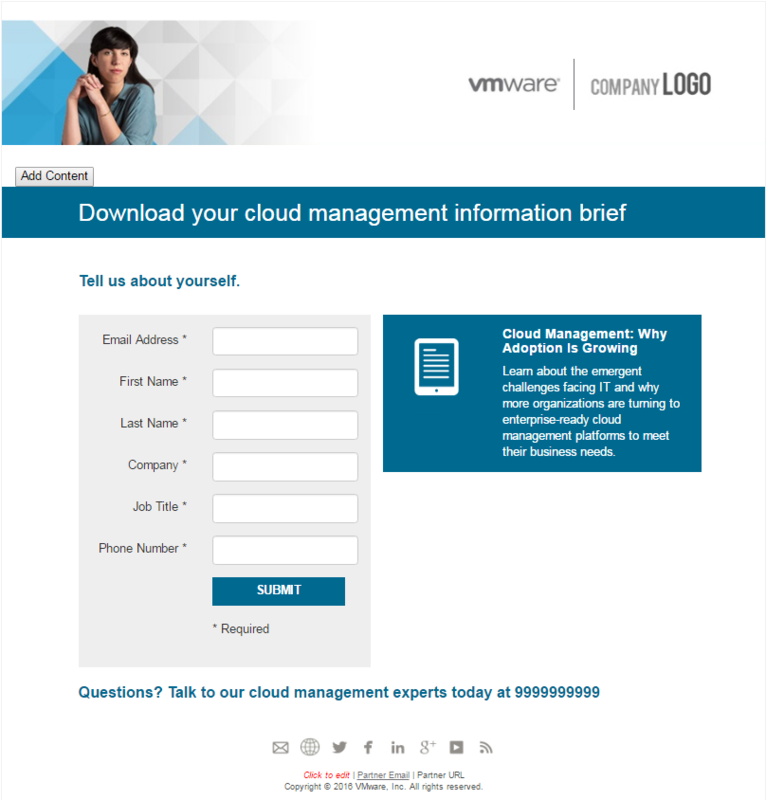 There is a catalogue of ready-to-go email campaigns featured within the VMware Partner Demand Center. Initiating a new campaign is easy and takes just a couple of minutes to set up and begin generating results.